Create your own custom recipes for the game here! Sadie Cat and Mao are out in the forest for the night and need to get some food in their stomachs. 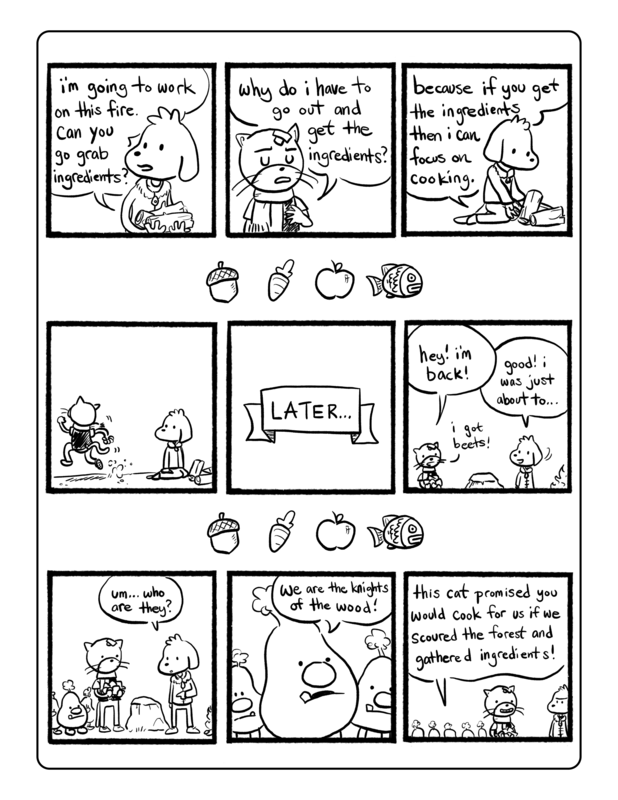 Sadie Cat sends Mao out to get some supplies, but he comes back with more than just ingredients. Now Sadie Cat is on the hook to feed a bunch of mouths and the sun is going down fast. How much food can she make in time? What is Sadie Cat: Cook Out? 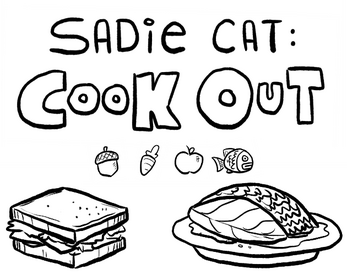 Sadie Cat: Cook Out is a dice rolling and matching game by Alexander Shen. 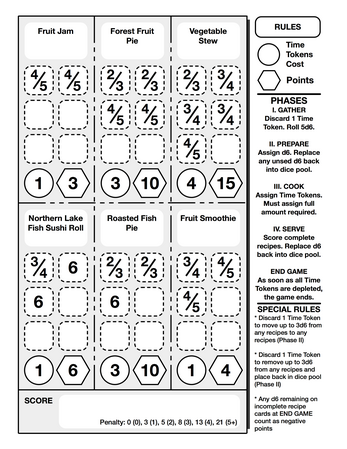 Players roll numerous d6 and match them to the recipes that she knows. 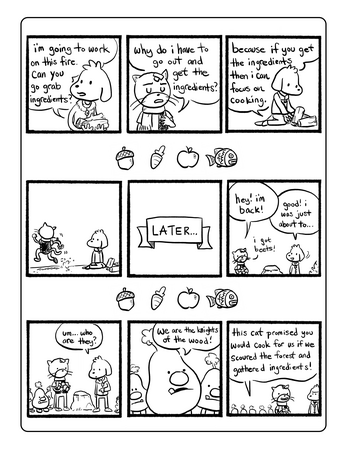 Each recipe takes a certain amount of time to cook and there is a limited amount of time left. Do you like dice games? 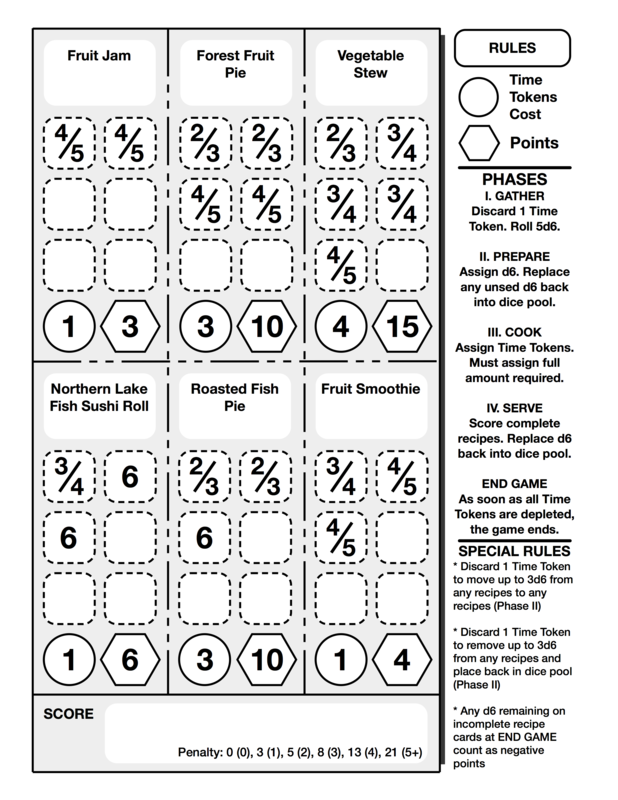 Do you like the puzzle-y bits of figuring out how to maximize your score? If you do, definitely give Sadie Cat: Cook Out a try!